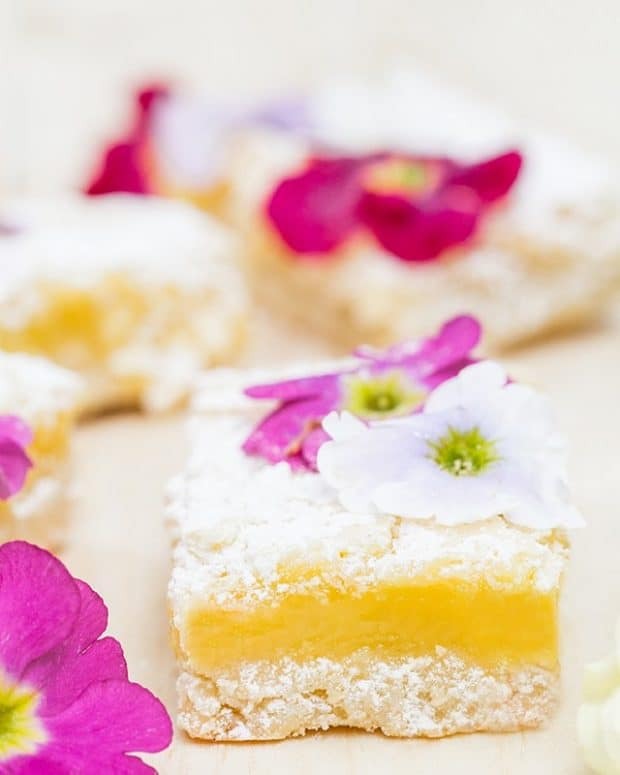 For the longest time I wasn’t a fan of lemon bars until I tried my mother-in-laws! She’s been making this recipe for years and it’s by far one of the best I’ve ever had. It’s also better than any lemon bar I’ve ordered at a restaurant too! It’s really good, gooey and the crust has such a sweet buttery flavor to it. 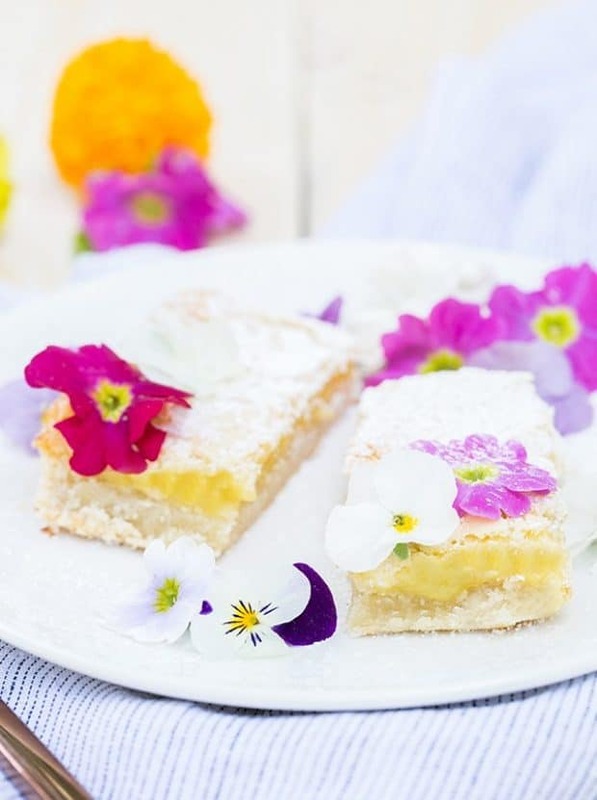 I added some edible flowers to make it charming and sprinkled powdered sugar on top. Enjoy!! Combine all the ingredients until the dough clings together. Press the dough into a 9×9 greased pan. Mix the eggs together first. Then continue to mix in the rest of the ingredients. Try not to over- mix the filling… a tip would be to add the dry ingredients together in a bowl first. Take the crust out of the oven and pour the lemon filling on top. Let it cool completely before you cut into squares or shapes. 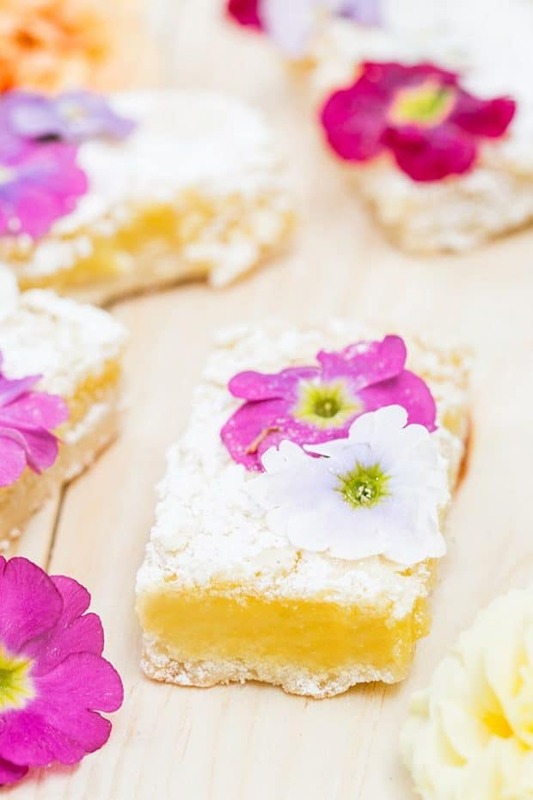 Once the shapes are cut, sift powdered sugar on top and garnish with edible flowers!